Donald Keyhoe was a Marine Corps Naval aviator in the United States, an aviation article writer and also a leading ufologist in the 1950s to 1960s. “Have been investigating flying saucer mystery. Believe it may have been planted to hide real answer. Looks like a terrific story. Can you take over Washington end?”. And so began Keyhoe’s involvement in the field of ufology. He was initially skeptical about the existence of UFO’s but similar to Allen Hynek, his skepticism changed as he began research into the area more deeply. He investigated the “Mantell case” of the sighting of a flying saucer for six months and came to the conclusion in his article that “The earth has been observed periodically by visitors from another planet” and that these observations had increased over the last two years. The reaction to this article was unexpected with the Pentagon being inundated with phone calls and telegrams. In response to this panic the Air force issued a response stating that the reported sightings, some of which were originally made by high ranking officers of the Air Force were mistakes and due to “hysteria”. Keyhoe’s involvement in ufology intensified in the years following this article with his co-founding of the non-profit organization, National Investigation Committee of Aerial Phenomena, or NICAP, in 1956. This committee was dedicated to the belief that the Air Force was withholding information. 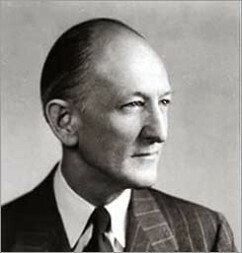 In 1957 Keyhoe became director of NICAP. He set up the monthly newsletter The U.F.O Investigator. One of NICAP’s main goals was to conduct thorough field investigations and it succeeded in doing so. These investigations allowed NICAP to initiate Project ACCESS (Automated Clearinghouse for Collection and Exchange of Sighting Statistics) which allowed any interested parties to access data regarding sightings. NICAP believed that this would be a useful tool for behavioral scientists. NICAP also demanded Congressional hearings and formal investigation into UFO's. The Condon Committee was established in reaction to these demands. By the late 1960s Keyhoe’s impact on ufology was dwindling as was the impact of NICAP. Public sightings of UFO's along with the authority of NICAP diminished significantly after 1968. This decline, according to the Wall Street Journal article, was believed to be attributed to the findings of the Condon Report that “nothing has come from study of UFO'S in the last 21 years that has added to scientific knowledge”. This negative impact on public opinion was, however, short lived with Frank B. Salisbury stating that “A 1973 Gallup poll indicated that about 11% of the population of the United States claims to have seen a UFO and that over 50% accept the ETI hypothesis; these figures are slightly more than double comparable figures obtained in 1965.” Nevertheless Keyhoe retired as director of NICAP and by the 1980s it had completely disbanded. Keyhoe became a member of the MUFON’s board of directors in 1981 but essentially in name only due to his poor health. Keyhoe died in 1988 at the age of 91. He left behind a legacy of several books including Flying Saucers Are Real, Flying Saucers from Outer Space, The Flying Saucer Conspiracy and Flying Saucers: Top Secret.